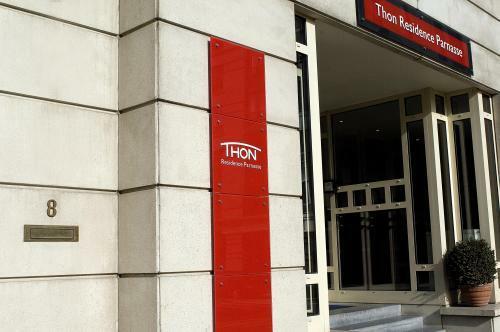 Thon Residence Parnasse Brussels, Hotel Belgium. Limited Time Offer! Thon Residence Parnasse. 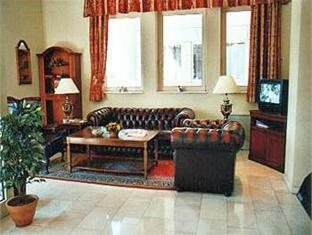 "Thon Residence Parnasse" is a 4-star apart-hotel. The accommodation is located in Bruxelles. The rooms are roomy. Inside, it is never too hot thanks to the relieving air conditioning. Children can play safely in the intimacy of the garden. 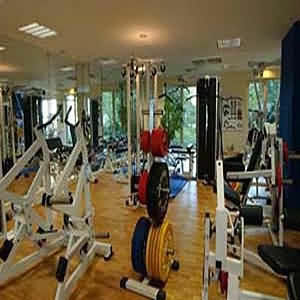 There are recreational activities to make your stay more active. Practice golf and tennis, for example. Furthermore, the apart-hotel features a gym as well as a bicycle rental service. After all your day's busy activities, you have the option to unwind in the spa. The wellness center also offers a sauna. Treat yourself to, for instance, a massage. There are child care facilities where your children will be happy to make new friends. No need to leave the comfort of the apart-hotel for dinner as there is an onsite restaurant. In the morning, breakfast is served. If you like to share your experiences online, there is Internet access available. The Thon Residence Parnasse offers its guests comfortable accommodations in an apartment format, perfect for family holidys or vacations with friends. 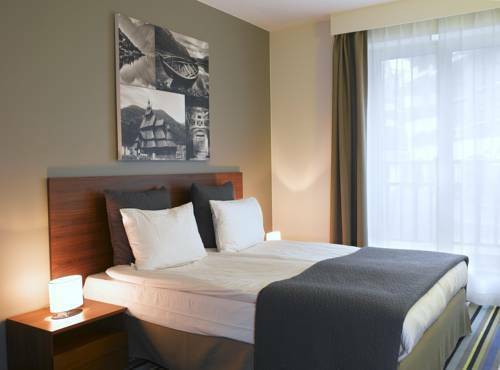 Located just opposite the European Parliament in Brussel's European Quarter, the establishment is within close proximity of the all of the city’s major sites and attractions. The 158 apartments range in size from 2-room units measuring 45 m2 to 4-room units at 150 m2. These warm and inviting apartments are decorated in a classic English style and feature air-conditioning, WiFi, a fully-equipped kitchen with a washing machine and a Senseo® coffee maker, a fully-equipped bathroom and a terrace. Certain categories include additional features. You will love the 2000 m2 wellness centre with a pool, sauna and gym facilities, A business centre is also available for your convenience. 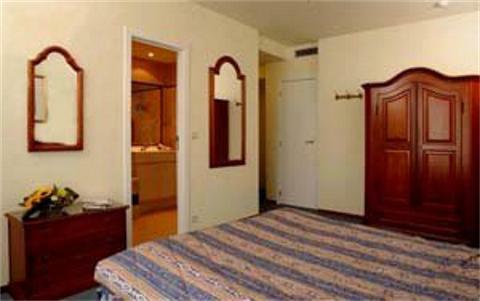 The Thon Residence Parnasse is located just across from the European Parliament in the heart of the European Quarter in Brussels, and just a few minutes from downtown. Visit the royal palace and the Avenue Louise, both of which are a short 1 kilometre away. Head over to visit the renowned Grand Place and Manneken Pis, situated approximately 2 kilometres from the hotel. Thon Residence Parnasse proposes luxury furnished apartments for short or long stays. 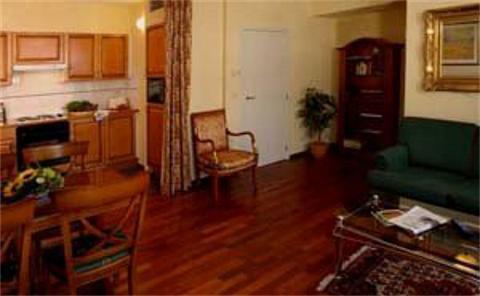 Consisting of 158 apartments, we offer fully equipped one, two and three bedrooms apartments. Traditional english decor is combined with confort, privacy and all aspects of personal security. + We have three small kids so the concept of an apartment hotel is great. The pool and workout facilities were excellent. It was nice to have a kitchen and dining area. + Big apartment, good location. - This hotel is supposed to be 4 stars. This is not the case, I would give it 3 the most and I am being very generous here. + Plenty of room, convenient location. 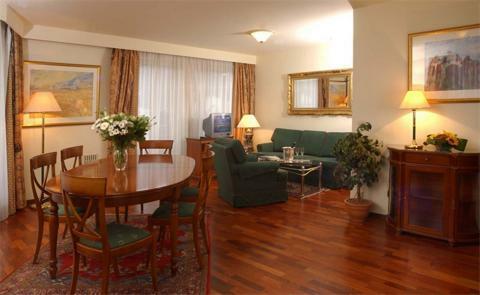 - No direct access to front desk from inside; you have to go out on the street and through two security doors. Weak, energy-efficient lighting. + Central location. Facilities (kitchen with dishwater, washing machine tumble dryer). 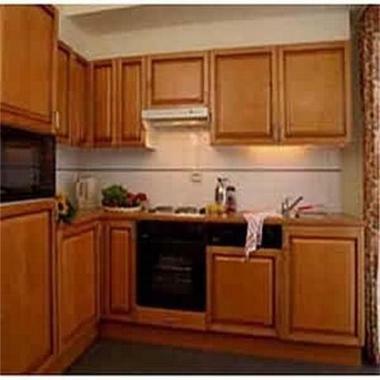 - The apartment and furniture is slightly worn.